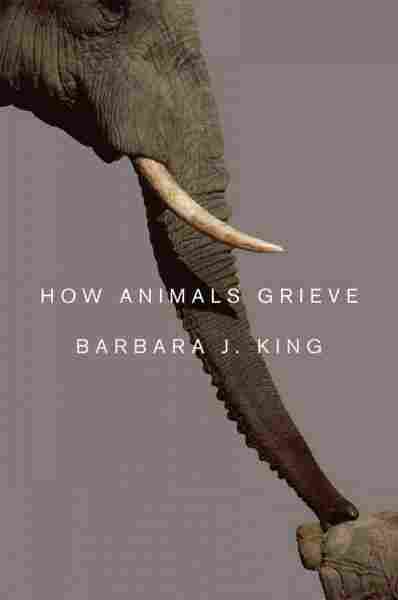 Questions For Barbara King, Author Of 'How Animals Grieve' Do animals grieve? A new book says yes: While there's little clinical research on animal grief, observation suggests that many animals, including ducks, cats, rabbits, horses and more, are capable of loving other animals, and grieving their loss. Attributing human characteristics to animals makes for great cartoons, but it's not usually considered rigorous science. Now, a new book argues that animals do think and feel in ways similar to humans. Barbara J. King is a professor of anthropology and a commentator on NPR's science blog, 13.7. And her book, How Animals Grieve, makes a powerful case for the presence of love, affection and grief in animals — from a house cat mourning her lost sister to elephants who pay respects to the bones of their matriarchs. While there's little research right now on grief in animals, King says that's starting to change. "It's a very exciting time to be studying animal emotion, because there's an immense sea change underway. Scientists are starting to pay attention to animal grief, both at field sites and in zoos and sanctuaries," she writes in an email. "There's a database emerging now in the peer-reviewed scientific literature, ranging from chimpanzees and elephants to dolphins, giraffe, and birds. The next step, I hope, will be to investigate seriously what we 'animal people' have known for a long time: that farm animals and our companion animals including cats and dogs may grieve as well. "In the 19th century, Charles Darwin readily saw emotions as varied as grief, jealousy, and joy expressed by a variety of species. But then there developed a concern that we were projecting our own feelings wrongly onto other animals — in other words, there developed a worry about anthropomorphism. That stance of skepticism has taken a long time to recover from, but in fact we're once again opening up to a key realization. If we look at their behavior with an open mind, it's the animals themselves who will tell us in no uncertain terms how deeply they feel their lives. "Credible definitions, cautious observation, and winnowing out what doesn't count as grief in the array of animals' responses to death are all important. But I think the primary requirement is a refusal to assume on principle that human emotions are unique in the animal kingdom." It seems, despite the lack of research, like there's plenty of anecdotal evidence about animal grief — and even biological evidence. Barbara J. King is a professor of anthropology at the College of William & Mary. 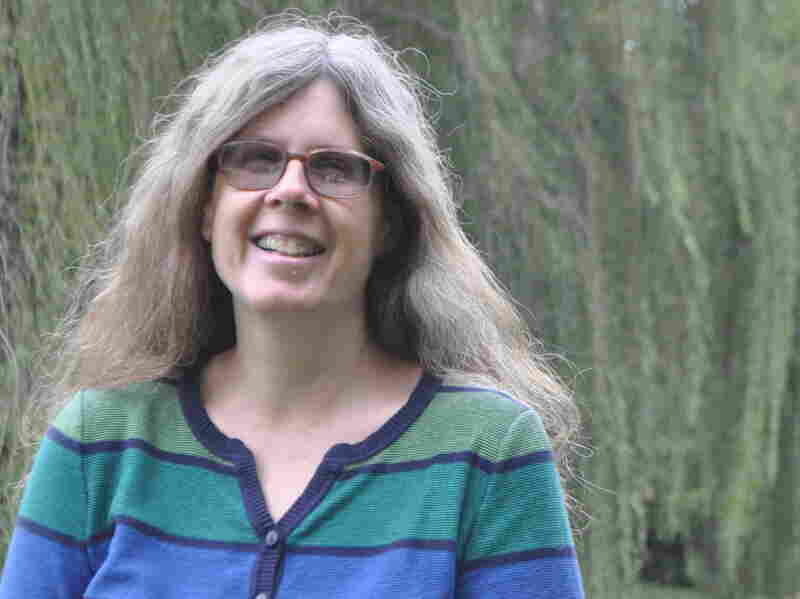 "In the book I tell stories — some gleaned from the scientific literature, others from interviews with animal caretakers — of individual animals and how they expressed love for a relative or friend, then grieved when that other animal died. Rather than writing about grief in the collective or as an abstract, I describe what happened when a gorilla silverback lost his closest gorilla friend, when the house cat Willa lost her sister Carson, when a dolphin mother observed in Greek waters lost her infant. It's from those stories that patterns, and hypotheses to test, emerge. "I also describe field scientists who use GPS collars to track elephants' movements then closely observe the behavior of individuals as they approach the body of a dead matriarch, or others who compare hormonal (e.g., glucocorticoid) changes experienced by monkeys who have lost kin in witnessed predator attacks versus monkeys who have not lost kin but witnessed those same predator attacks. Video, too, is revolutionizing the study of animal emotion; when we film what happens as an animal is dying or dies, we can assess the behaviors by rewatching and coding the tapes, rather than by making snap judgments about what's unfolding quickly in real time." What do you say to skeptics, people who say oh, you're just anthropomorphizing; there's no way we can ever tell what an animal is actually thinking? "Yes, there's that A word again. I agree that we can't always, or even often, discern what an animal is thinking. For example, whenever a chimpanzee or gorilla mother is seen carrying the corpse of her baby, the media headlines fly about 'maternal mourning!' And that may be right — or it may not. If the mother is going about her normal routine, or simply staring at her baby, we have no firm basis on which to say that she is steeped in grief. "My definition of grief requires that an animal's normal behavior routine is significantly altered, and that she shows visible emotional distress through body language, vocalizations, social withdrawal, and/or failure to eat or sleep. So while I do need to follow consistent criteria in describing grief, I don't need to know what an animal is thinking, any more than I'd need to know what a person is thinking, if he shows marked emotional response to a death." You make an interesting distinction — that while all animals are capable of grief, not all of them do grieve. What has to happen for an animal to express what we would perceive as grief? "That's right, animals are individuals. Not all elephants, not all dogs, grieve when a relative or friend dies — some may be curious and want to explore the body, others may be indifferent. I wouldn't want to say 'all animals are capable of grief,' though, because we don't know the scope of animal grief yet. Would I expect amphibians, reptiles, and insects to have the capacity for grieving as birds and mammals do? No, not really. We've yet to fully discover how brain physiology correlates with the expression of emotions like grief in the animal kingdom. "We humans grieve differently than other animals do: using language, enacting symbolic rituals like funerals, and with an acute awareness of our own and others' mortality. Other animals don't do those things. But many other animals do love. My book is as much about love as it is about grief, because it's from love that the grief emerges." What can animals teach us about grief in humans? "Animals teach us that grief is a natural, if at times profoundly difficult, result of feeling love and joy with another being. If you don't mind though, I'd like to conclude by tackling a different question: What can animal grief teach us about our relationship with other creatures? To me, that's the heart of why animal emotion is incredibly important to study and understand. "The more we understand that the chimpanzee (or cat or rabbit) confined to a biomedical lab feels his life and his friend's death in the next cage over, and that the dairy cow sorrows over the repeated loss of her calves as they're taken away to slaughter, the more we work effectively towards animal welfare. Each one of us can do something for animals. Maybe you're all about educating children in wildlife conservation, or working to get cats and dogs spay-neutered. Or maybe you decide not to eat animals anymore. Whatever works for you, it all makes a difference."